Hey all, so I just got this prewired pickguard from GFS in the mail today. Now I have it open, im just confused as to what wires go where. Theres two wires coming out from the board, a white wire and a black wire. The black wire is whats confusing me currently. out of the black wire, theres more white wires and some extra exposed silver wire as well. What do I do with that? 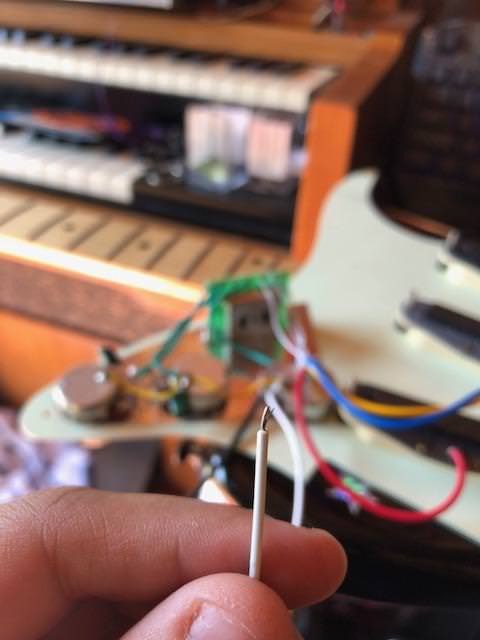 Do I twist it together and solder it as one wire, or is it for something else? Lemme know. I've included pictures of the wires in question for reference. Shielded ground wires (the ones going to the left in the first picture). Usually wired to the back of a pot. Jero wrote: Shielded ground wires (the ones going to the left in the first picture). Usually wired to the back of a pot. Thanks! got it figured out in the end. The double split wire if the first pic was the hot and ground for the input jack. 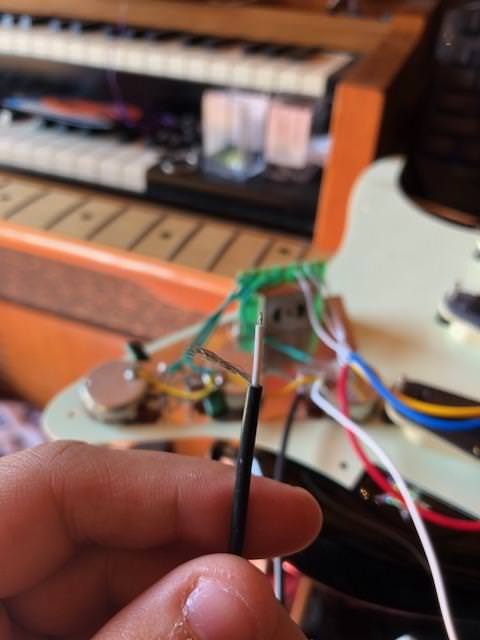 The stand alone white wire was the new ground for the trem claw. Weird, but whatever. Sounds great in the end.